Shipping is based on weight of each parcel. 12 packs $15, 6 packs $12.50 and 3 packs $10. All within Australia. 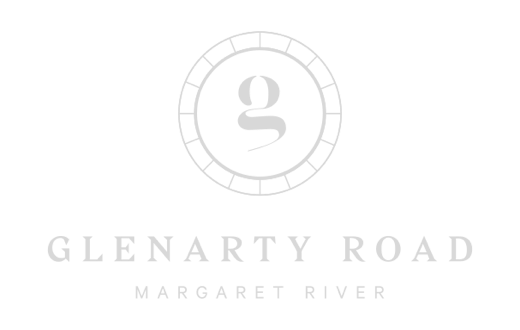 Glenarty Road will endeavour to dispatch wines within 3 days of the order and payment acceptance. Glenarty Road will use all reasonable endeavours to deliver by any requested or agreed date, however it does not guarantee delivery on that date and is not liable for any loss resulting from late delivery. Glenarty Road will not deliver to PO Boxes or addresses outside of Australia. Glenarty Road will not be liable for incorrect or unclaimed delivery in the instant that the recipient has provided incorrect or out of date delivery details. Goods will not be delivered to persons under the age of 18 years. Glenarty Road may request that the person who receives the goods provide evidence of proof of age and Glenarty Road shall presume that anyone at the nominated delivery address who receives the goods is authorised to do so. Orders must be in straight 6pks or straight 12pks of the product codes on offer. All wines are offered for sale subject to availability. If the product is out of stock, Glenarty Road will contact the purchaser and offer either a substitute wine of at least equal quality or issue a credit to your credit card account to the amount that has been charged. (i) The un-opened wine bottles are returned within 7 days of opening any of the product. (ii) Upon internal testing of the product by Glenarty Road it is deemed faulty or defective. (iii) We will refund your money when we receive the goods and we are satisfied that they are in original condition. Please contact us for alternative arrangements. We will bear the reasonable cost of returning goods that are defective or do not meet the product description. All other returns are at your expense. (i) Refuse to accept delivery of the product. (ii) Direct the Courier to Return Goods to Sender. If you have already accepted delivery, and then notice that the product appears to have been damaged during transit you should notify our Customer Service Staff immediately, so we can process the return as "Damaged in Transit".